Whether you are a producer or a mobile DJ, chances are you will need to connect your laptop to a sound system, either in the studio or at a live gig. The digital DJ has hit mainstream, and modern hardware and software packages allow using your laptop as a sound module while still spinning special time-coded vinyl records. Decide if you are able to afford a dedicated USB, FireWire or other audio interface at this time, or whether you are going to need to use your laptop's primary audio output for connecting to your sound system. If at all possible, even an inexpensive, consumer-grade audio interface or sound card will provide better quality and more sound system connection options than your laptop's output. Research and purchase an audio interface or sound card that will fill connect to your expansion port, if you can afford to do so. Some manufacturers to look into are Creative Labs, M-Audio, Tascam and Alesis. 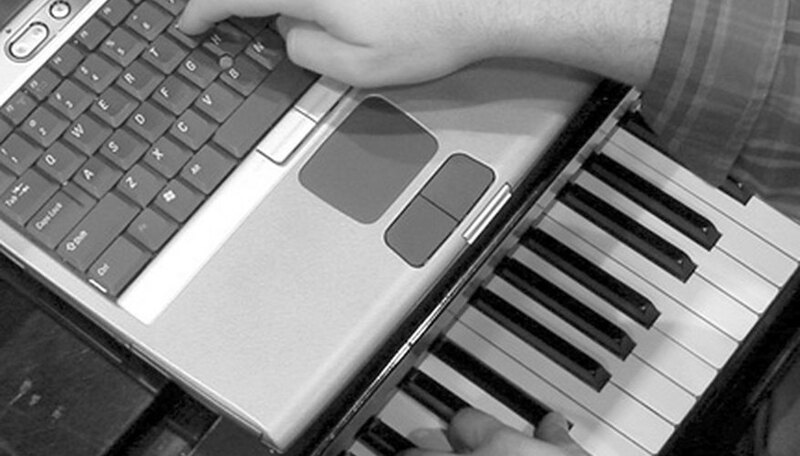 Such devices will not only allow you to connect your laptop to a sound system, but to connect instruments and other audio and MIDI hardware to your laptop, as well. Buy a cable that will allow you to use your laptops primary "headphone" output, of the 1/8 in. variety, to connect to a sound system, if you are unable to buy an audio interface at this time. The cable should have a 1/8 in. TRS head on one side, and split into the left and right RCA components halfway through. You may be using a mixer or sound system to plug in your laptop to that uses 1/4 in. TRS inputs instead, and 1/8 in. to 1/4 in. 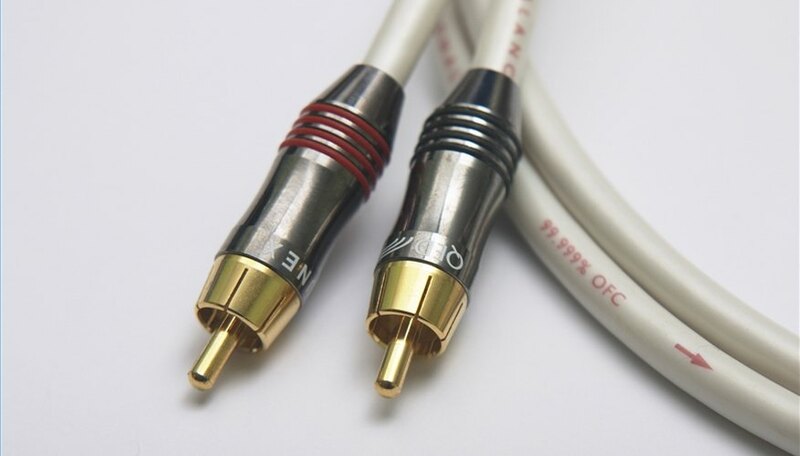 component audio cables are also available. Invest in quality audio cables, of any variety you choose to use. Cheap cables are liable to twist, leading to popping and cracking or a loss of connection all together. This cannot be overemphasized enough. Whether you are running directly out of your laptop's audio output into your sound system or using an expensive audio interface, cheap or damaged cables will ruin your sound. Learn to wind your audio cables properly when packing away your gear. Keeping stress off their delicate internals will make sure you get the best sound when connecting your laptop to a sound system, every time. Several companies offer digital audio interfaces designed specifically with the mobile working DJ in mind. Offered from Numark, Serato, M-Audio, among others, they are often bundled with software useful to the mobile digital DJ. Jesse Sears is a Los Angeles-based journalist and photographer. He has worked as a professional freelance writer since 2008. Sears has been published in numerous traditional and online media ventures including "The Daily Sundial," "The Pasadena Courier," RSportsCars.com and others. He holds a Bachelor of Arts degree in journalism from California State University, Northridge.